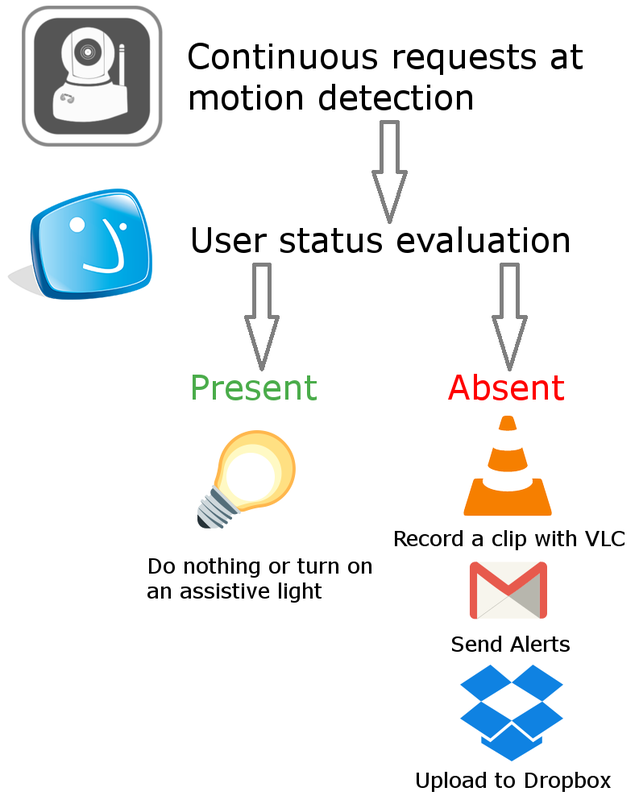 Most IP Cameras on the market, even the cheap ones, has a built-in alarm system that notifies via e-mail, upload image to ftp or send an http request when motion is detected (additional example). But what if we want to capture video instead? In this example we're going to use the http notification feature that camera provides, to send a command to Jubito server. 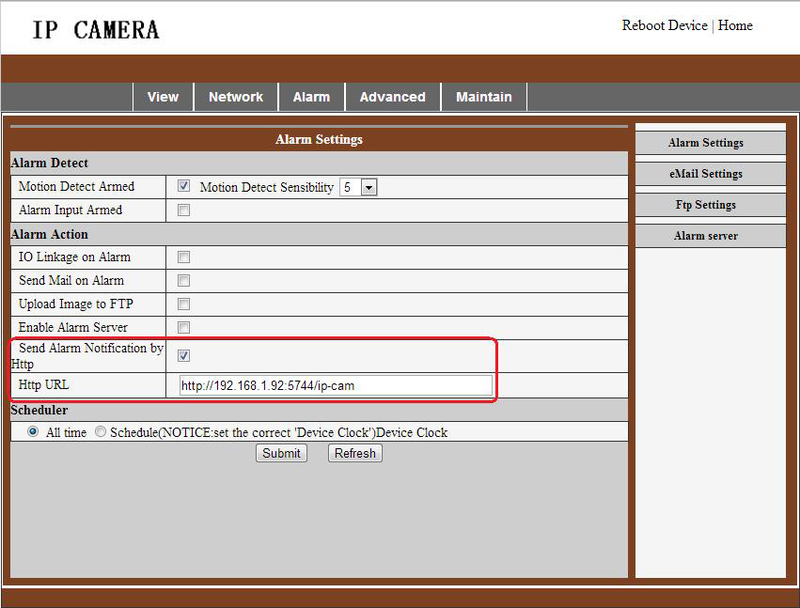 Now we have to create the instruction set ip-cam but first we need to make sure that camera's IP address is declared in the trusted zone. 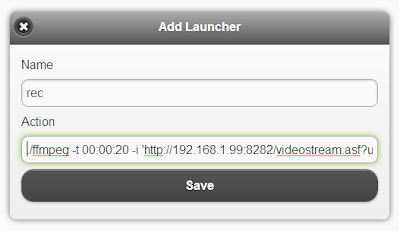 UPDATE: Check this post to see how to add trusted clients by the UI, without editing the AppConfig.xml. However, I leave the paragraph below as is, in case you want to edit the file and see things behind the scenes. 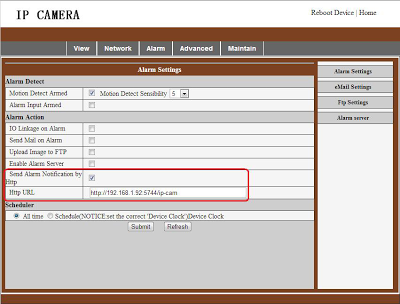 Edit the AppConfig.xml file, jump to the system settings and add the IP address of the camera or any other device you might want to access Jubito, delimited by semicolon. 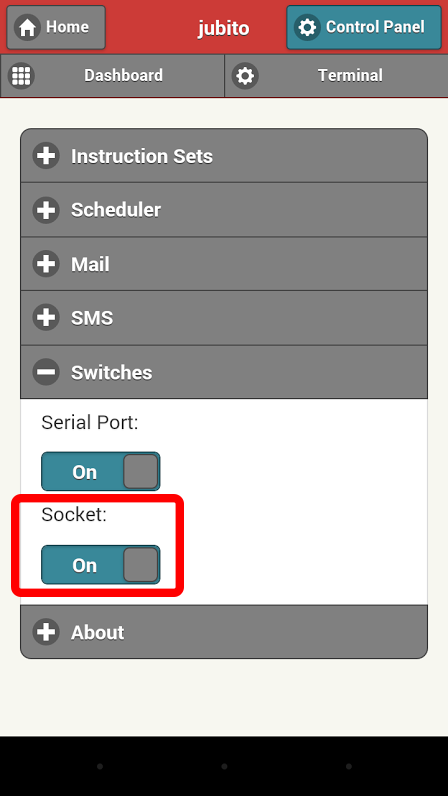 Also make sure you have setup a TCP socket that accept data to a specified port (5744 by default) by filling the localHost (Jubito server address) and localPort tags as well. Then save and close file. Once you set it up you should enable the socket. 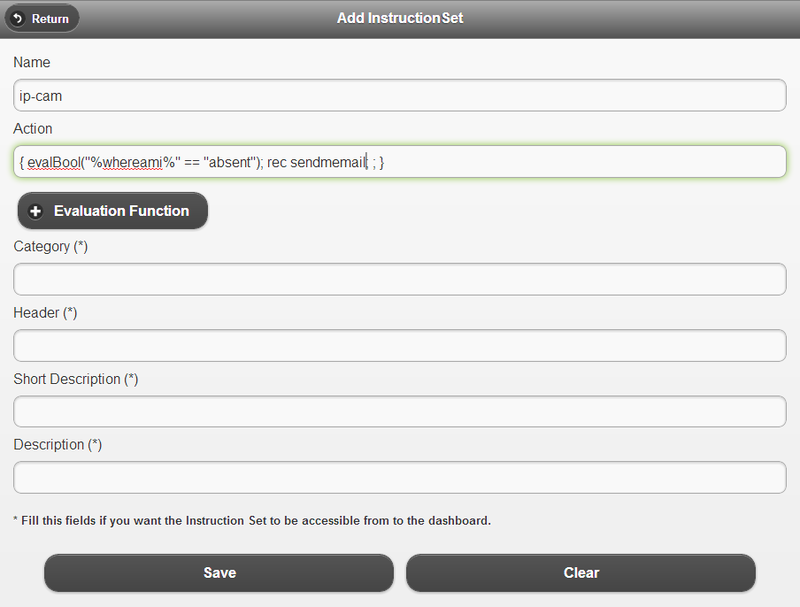 The above action evaluates over the %whereami% function and trigger rec and sendmemail instruction sets when condition is true. Dot-slash (./) that precedes, is required when we call a third party program. Finally, we make the sendmemail launcher the same way. Add New Launcher, enter sendmemail as a name and judo mail send <from> <to> `<subject>` `<body>` as action which is the API for sending e-mails. APIs does not require the dot-slash (./) indicator. Learn more about at instruction set anatomy. That's it, we have successfully created our DVR system! For dropbox synchronization follow this post. Its very informative blog! Thanks for sharing it. These tips are really going to help me.